Sadly for LeafNation, playoff memories are not recent at all. They pre-date the 2004-05 NHL lockout. They don’t include any Stanley Cup final appearances, let alone championships in the last 40-plus years. 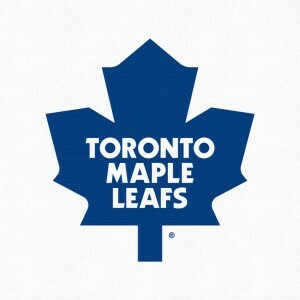 Still, LeafNation is a passionate group that cherish memories, no matter how many years removed. Though the players in these most recent playoff dramas have moved on (and many retired), Leaf fans recall each one with fondness. The common thread is that the man behind the bench for all of them was the Big Irishman, Pat Quinn. Quinn himself is author of one of the most memorable Leaf playoff moments, when in the spring of 1969 he laid none other than Bobby Orr out with an open-ice hit in what would end up being a Bruin series sweep. Quinn coached the Maple Leafs for seven seasons, beginning in 1998-99, and missed the playoffs only once, 2005-06, which led to his firing. In that time, he had a playoff record of 51-49, winning 7 of 13 series, and took his teams to their 3rd and 4th ‘final four’ appearances since 1992-93. Former Penguin Garry Valk won a job after a tryout with the Leafs in the fall of 1998, and in the spring of 1999 he scored probably his biggest goal as a Maple Leaf against his old team. In Quinn’s first year as coach, the team qualified for the post-season for the first time in three years. Having dispatched the Flyers in round 1, Toronto now led the other Pennsylvania team in games 3-2. In game 6, Valk scored his first career playoff goal unassisted in the second period to tie the game at twos. The teams traded goals to go to the third tied 3-3. Almost two minutes into overtime, a Yanic Perreault face-off win and a failed clear by Jiri Slegr allowed a falling Valk to push his second playoff goal past Tom Barrasso for the series win. “It’s really exciting, just coming from where I came from this year … sitting home with no job and getting a chance to play in the playoffs,” said Valk. Improbable as it may have seemed, the goal sealed a 4-3 win and advanced the Leafs to their first Conference Finals in five seasons. The Senators opened the second series of the 2002 playoffs with a convincing 5-0 win at the Air Canada Centre. A second loss could easily have set up and early exit for the Leafs, so tension was running high as regulation time ran out in game 2 with the teams tied 2-2. It only got worse as the game went to triple overtime. With captain Mats Sundin sidelined and riding a hot game from Curtis Joseph, one of the team’s other veteran leaders, 35-year-old Gary Roberts, stepped his game up, playing over 33 minutes. At 4:29 of the sixth period, Roberts registered his first shot of the game off a faceoff win in the Ottawa zone. It beat Patrick Lalime to tie the series, one the Leafs would eventually win. Without doubt, the ‘Battle of Ontario’ became a premiere NHL rivalry as the century turned. The April 2004 series was the fourth time in five seasons that Toronto and Ottawa met in a playoff series, and the third time it occurred in the first round. In 2003-04, the Leafs finished one point ahead of the Sens in the standings, and had lost only once to Ottawa (though by a score of 7-1). The final regular season game saw the Leafs win 6-0, but Ottawa took game 1 by a 4-2 score. Ed Belfour then stopped 31 shots and 37 shots to give the Leafs two consecutive 2-0 shutouts before Ottawa evened things up with a 4-1 win. In game 5, Belfour faced only 21 shots in posting a third 2-0 shutout. Daniel Alfredsson pledged a win in game 6, and the Senators delivered a 2-1 double overtime win. But in game 7 at Air Canada Centre, Patrick Lalime was chased after the first period, and a 4-1 win allowed Toronto a berth to the second round. It was the fourth time the Leafs eliminated the Senators, although unfortunately for Leaf fans, it is also (to date) the last playoff series win for Toronto. A 4-3 loss to Ottawa in Game 3 of the first round was memorable for an incident that saw Curtis Joseph lose his cool over Rob Zamuner’s third-period goal. With Ottawa already leading 3-2, Joseph felt he was interfered with when a number of players had crashed into his crease, allowing Zamuner to score his second of the night and widen the Senators’ lead. Joseph looks around for a call, then realizing the goal is being called ‘good, loses it, tossing his trapper and blocker, and charging out towards referee McGeough. Along the way, Joseph slips and ends up knocking McGeough over. Cujo continues his argument, but to no avail. He received a misconduct penalty, and despite a late goal, the Leafs were unable to come back to win. McGeough acknowledged that Joseph did not intend to trip or assault an official, and despite calls from fans in Ottawa, the NHL determined no further discipline was required. Still, it made for one of the most memorable on-ice incidents. These are just a few of the memorable moments in what is the last era of Maple Leafs playoff history. Coach Quinn led a team that had ample toughness, skilled forwards and stellar goaltending that, while they never won hockey’s ultimate prize, was a legitimate contender for supremacy. Please feel free to use the comments section to add your favourite Maple Leaf playoff memories of the 1998-2004 Toronto Maple Leafs.